The world is filled with amazing technologies, from roads, state of the art buildings, to the most diverse and advanced computer equipment. When we glimpse at these advancements, two professions make their way into the scene: the architect and the engineer. What exactly do these two professionals do and how are their job descriptions different? It’s a more popular concept that architects have something to do with buildings and engineers have a wider scope of responsibility – there are architectural engineers, chemical engineers, communication engineers, environmental engineers, electrical engineers and computer engineers, to name a few. Here is a detailed comparison between architects and engineers. The word ‘architect’ comes from the Latin word architectus, which in turn came from the Greek term arkhitekton, which translates to chief builder. From this definition, we can say that an architect is licensed professional who has been trained to plan for, design and oversee the construction of buildings, building clusters and even the space around buildings. The term ‘engineer’, however, is a broader term, arising from the Latin root word ingenium to mean cleverness or ingenuity. Engineers are licensed and tasked to develop solutions geared towards better economy and safer options, while utilizing the laws of science, physics, mathematics and while considering the constraints of law and technology. The careers of engineers have sprung to life with the advancements brought about by the industrial revolution and technological discoveries. In short, engineers may be called “applied” scientists because they put all scientific theories to application. Architect’s roles are divided into three sections– the design, documentation and construction roles. The design role begins with a design concept that is meant to meet the needs of the facility that is to be constructed. The documentation role entails the detailing of instructions, directions and concepts to be followed by contractors of the facility. And the construction role is carried out by assigning a contractor and supervising the construction’s progress. An engineer’s roles are varied, depending on the field they are in. Aerospace, chemical, civil, electrical, environmental, genetic, geospatial, industrial, materials, mechanical, computer, structural and systems engineers each have their own specializations and roles. 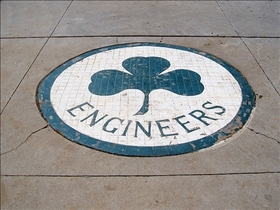 Engineers use materials and concepts to make creations to suit unique purposes. Engineers are focused on functional objects. An architect becomes a professional in a three step process – education (a college degree in Architecture), followed by experience (an apprenticeship with an architecture firm, usually 7 years) and examination (a licensure exam so one becomes a professional architect). An engineer becomes one by first completing a four to five year course of Bachelor of Science in Engineering degree in college. In the United States, for instance, engineers must pass an FE (Fundamentals of Engineering) exam and work in the related field of a number of years before taking and passing the Professional Engineering (PE) examination. Architect comes from ‘arkhitekton’ which means ‘chief builder’. Engineer comes from ‘ingenium’ which means ‘cleverness’. 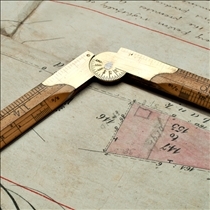 Architects’ roles are to design, document and construct buildings. Engineers’ roles vary, depending on the sub-field of science or math or specialization they have studied. Architects study a 4-year course, get experience and pass a licensing exam. Engineers study BS Engineering, get experience and pass a licensing exam. Which profession requires the more rigorous schooling? Human vs. Animal DNA: How alike are we?